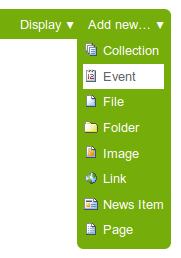 How to add Events in the portal. 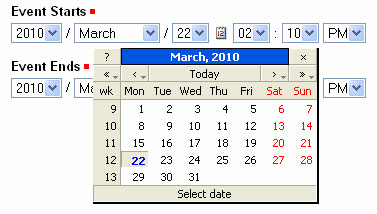 Plone web sites have a built-in system for managing and showing calendar events. Note that only three fields, title and start and end date and time, are required. So, although this is a large input panel, if you are in a hurry, just type in the title and the start and end times and save. Of course, if you have the other information, you should type it in. IMPORTANT: It will not show on the main web site calendar until it has been published.